It is now 9 days after SMX Israel 2014 and honestly, I am still recuperating. The conference completely wiped me out, you can see what I mean if you watch my video from a few days ago. But it was worth it! This was our best show yet, all around. From content, networking, food, accommodations, the general vibe and feel. I am biased of course, but I get the feel from the people and it honestly felt that we completely nailed this show on so many levels. Heck, I am still getting feedback from people who went to the show that loved it. We sold out a week before the event took place, which rocks. We also had all our speakers show up, which is rare for large conferences. Normally at a conference, there is a speaker or two that has to cancel last minute. It just seemed like everything from the content, speakers, sponsors, to the food, atmosphere and heck, even the internet, all worked so incredibly well. Even the Googlers who attended, about 35+ from both the paid side and organic side (Webmaster Tools team) seemed to enjoy it. They mentioned it early on in this webmaster hangout with John Mueller. Of course, the packed rooms, standing room only, with 300+ people in a single room, says a lot about how much our industry has come. And I think this was in the "mobile SEO" panel, where previously we had only a handful of people show years ago. And of course, thanks again to our sponsors for making this possible including Google, Analytics Ninja, Trusted Proxies, ZEFO, Rapid Fire Consulting, Universal McCann Search, Majestic SEO, PixelPointPress, aimClear, Kenshoo, and Curiyo. Thanks to all our speakers, attendees, advisors for making this such an amazing show. 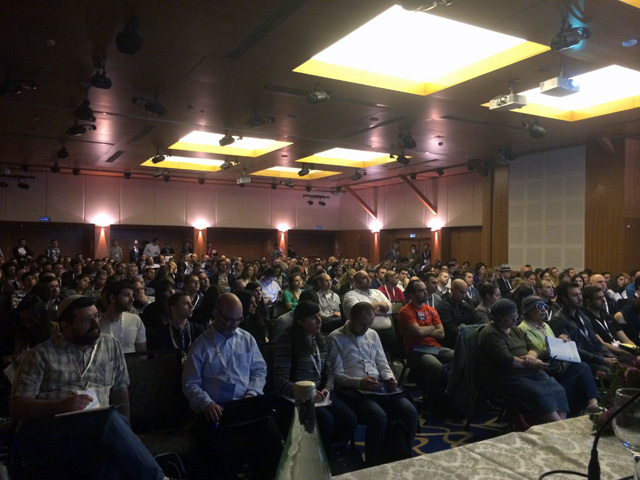 For a recap of the previous events, see SMX Israel 2013 recap and SMX Israel 2012 recap. Previous story: Can Yahoo Make A Come Back Into Search?